British Fashion Graduates at their yearly showpiece in London showed a surprising sense of reality. Newness concentrated on skills with intricate finishes, precise details and measured shapes. 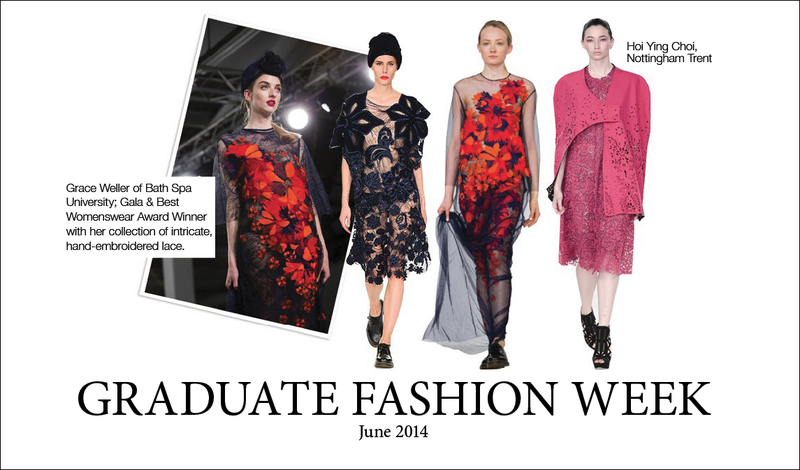 This year’s prize winner Grace Weller from Bath Spa University impressed with beautiful 3D embroideries scattered on modern evening wear. Modernism also focused on new elements for the contemporary building-block wardrobe.